Do you want to dominate the competition? Do you want to grow more business? Do you need to learn how to “close”? Do you have a sales formula that works for you? 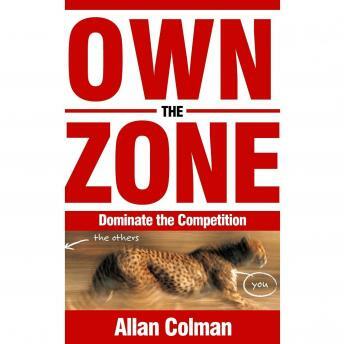 Own the Zone is a must-read for business leaders, professionals, and entrepreneurs interested in growing their businesses. Unlike many sales books written for the nonprofessional, this book combines many techniques into a framework that will feel comfortable for a professional selling a high-end service. This easy-to-read sales strategy book encourages professionals to pay attention to the details when meeting with potential clients. It also gives step-by-step instructions on how to get past the pain and discomfort of asking for business. Many business authors are preoccupied with overwhelming their readers with data, provided simply to show how much knowledge of the subject they have. That is not the case with this book, which extremely helpful and concise. It gets to the point fast and with punch, making it extremely effective. Professionals in any field should keep it handy and read it regularly until what’s in it becomes second nature.